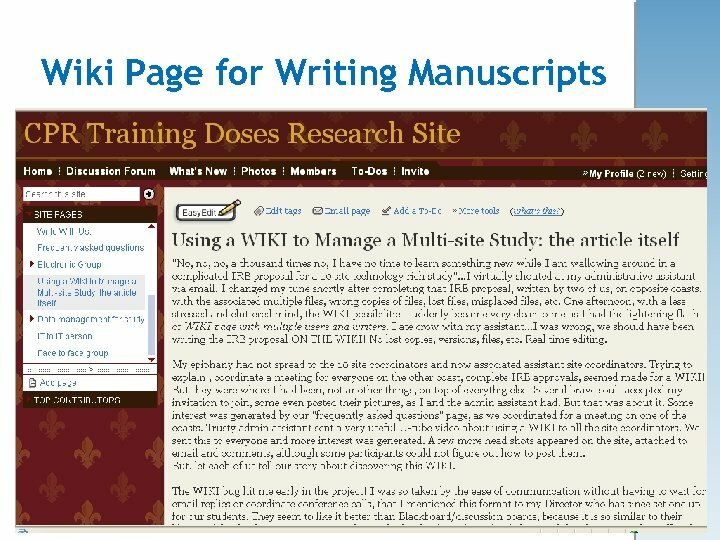 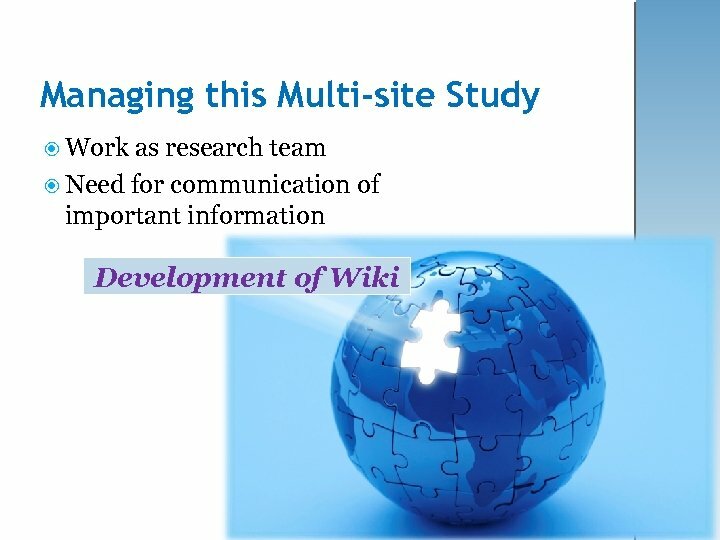 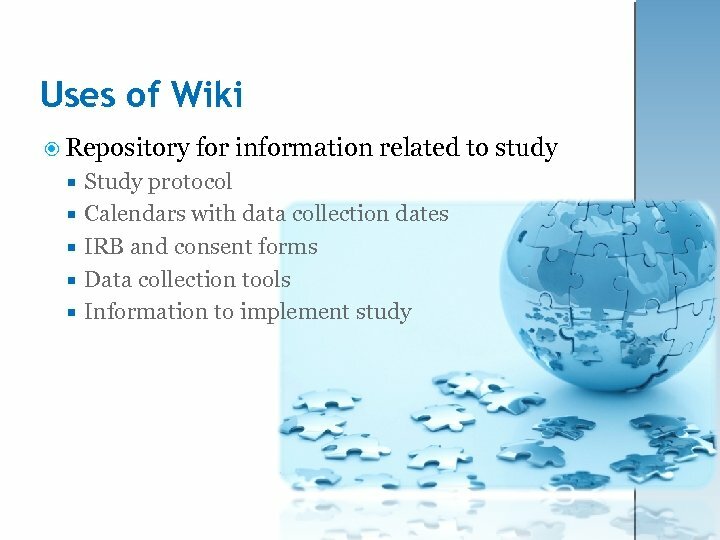 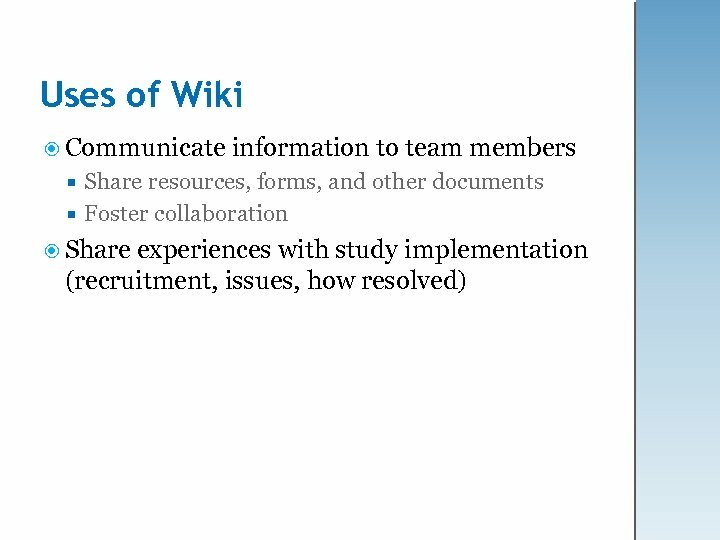 Research Team and Sites Marilyn H. Oermann, Ph. 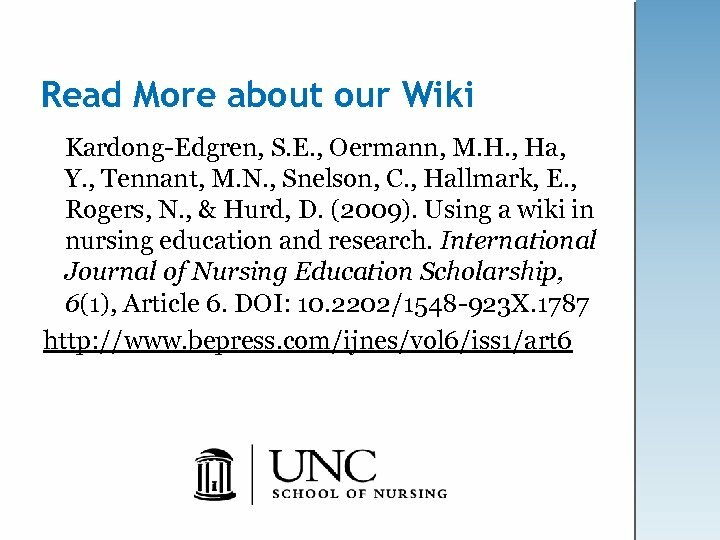 D, RN, FAAN, ANEF & Yeongmi Ha, MSN University of North Carolina at Chapel Hill, School of Nursing, Chapel Hill, NC Suzan E. Kardong-Edgren, Ph. 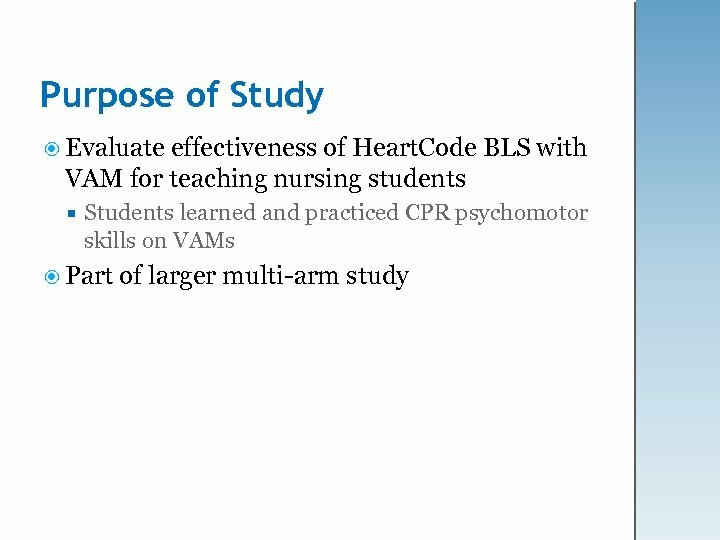 D, RN, Tamara Odom-Maryon, Ph. 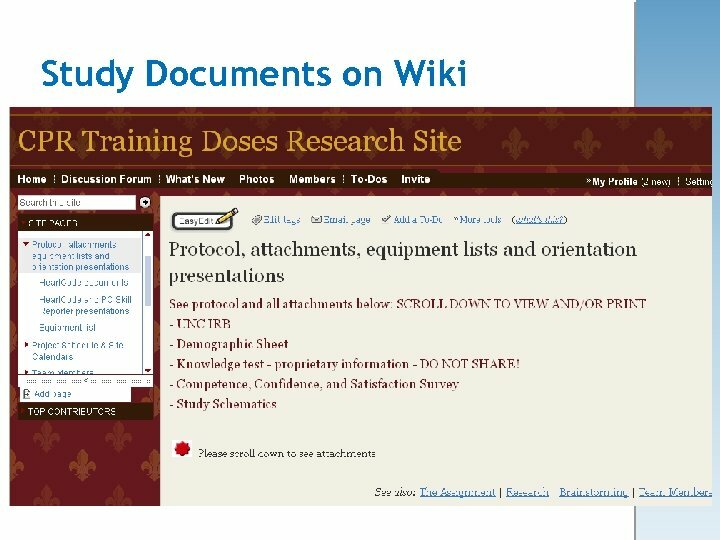 D & Denise A. 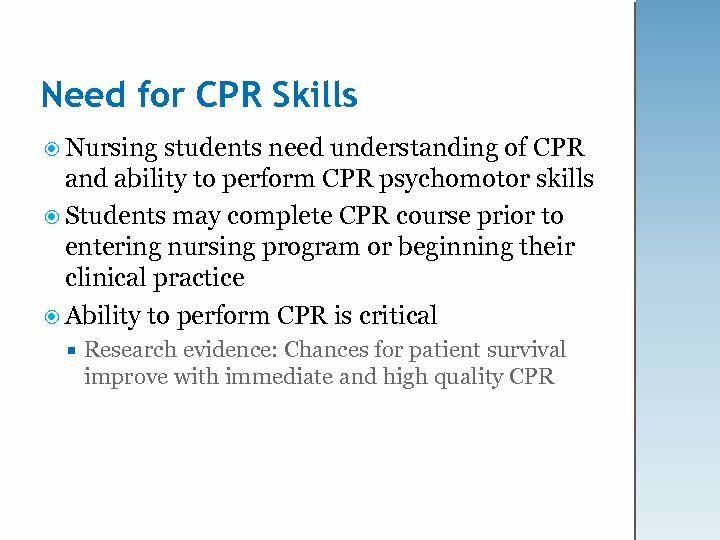 Smart, Dr. PH, RN Washington State University, College of Nursing, Spokane, WA Beth F. Hallmark, MSN, RN & Sharon Wilson Dowdy, Ph. 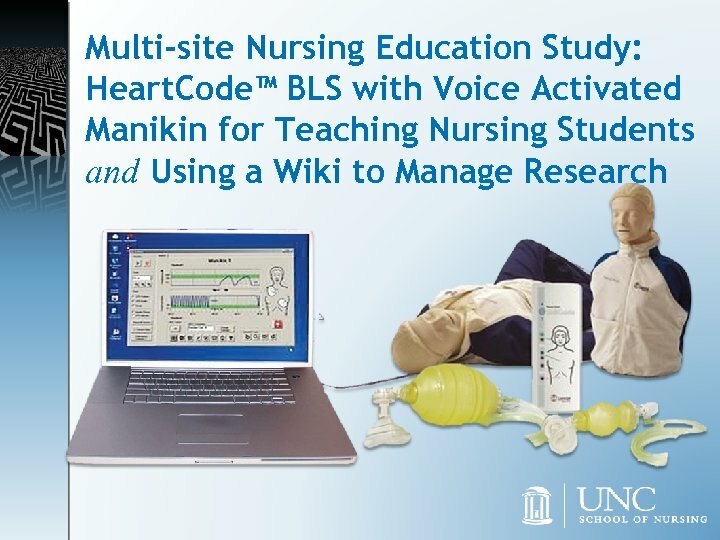 D, RN Gordon Inman College of Health Sciences and Nursing Belmont University, Nashville, TN Jacqueline K. Mc. 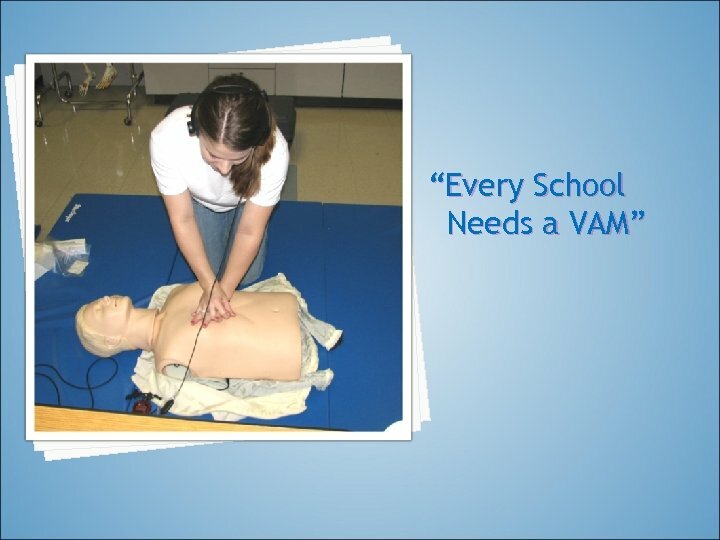 Colgan, MS, RN, CNE Debbie Hurd, MS, RN Nancy Rogers, MA, RN Springfield Technical Community College, Springfield, MA Collin County Community College, Mc. 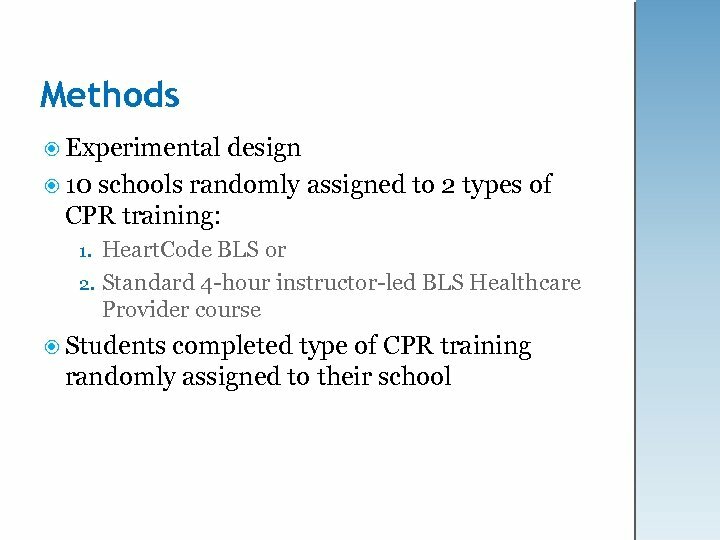 Kinney, TX Carroll Community College, Westminster, MD Leandro A. Resurreccion, MSN, RN Catherine Snelson, MSN, APRN Oakton Community College, Des Plaines, Il Kent State University, Kent, OH Carol Haus, Ph. 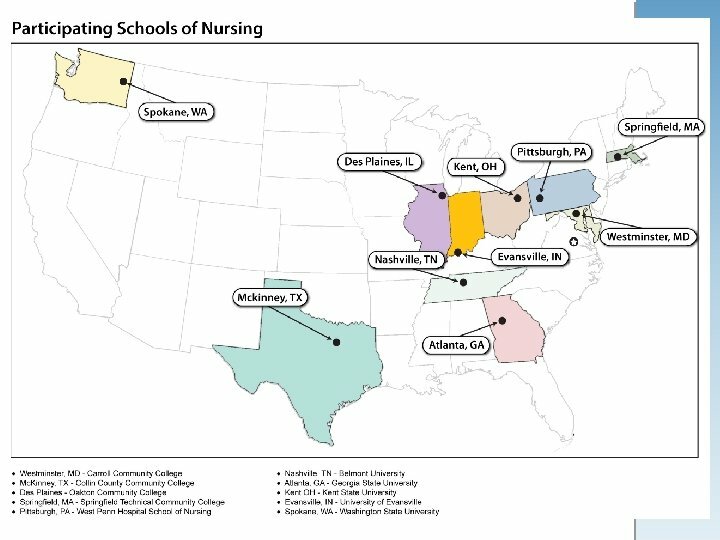 D, RN, CNE West Penn Hospital School of Nursing, Pittsburgh, PA Dawn R. Kuerschner, MS, APN, NNP-BC, RNC, CNE Oakton Community College, Des Plaines, Il Jerrilee La. 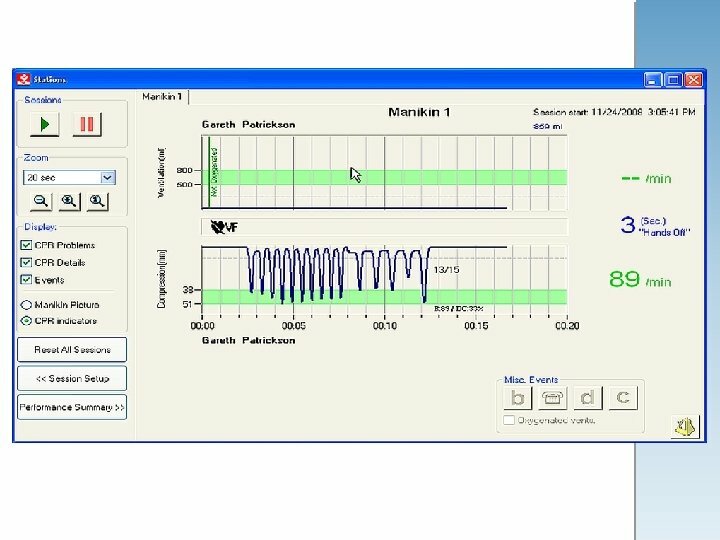 Mar, Ph. 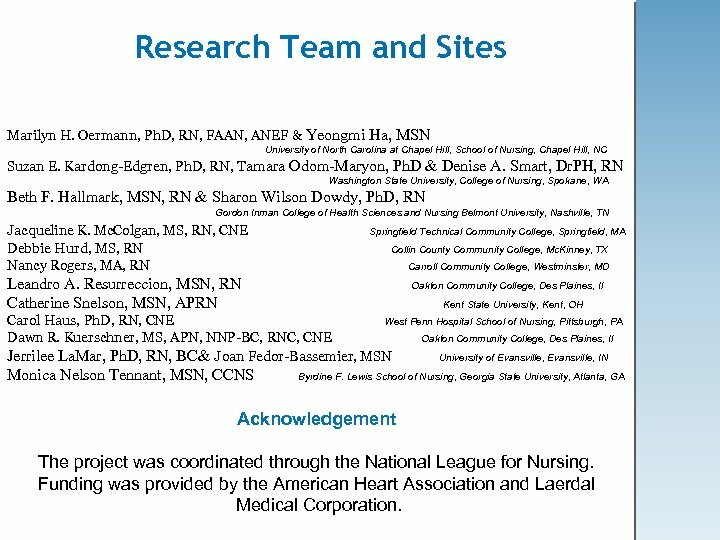 D, RN, BC& Joan Fedor-Bassemier, MSN University of Evansville, IN Monica Nelson Tennant, MSN, CCNS Byrdine F. Lewis School of Nursing, Georgia State University, Atlanta, GA Acknowledgement The project was coordinated through the National League for Nursing. 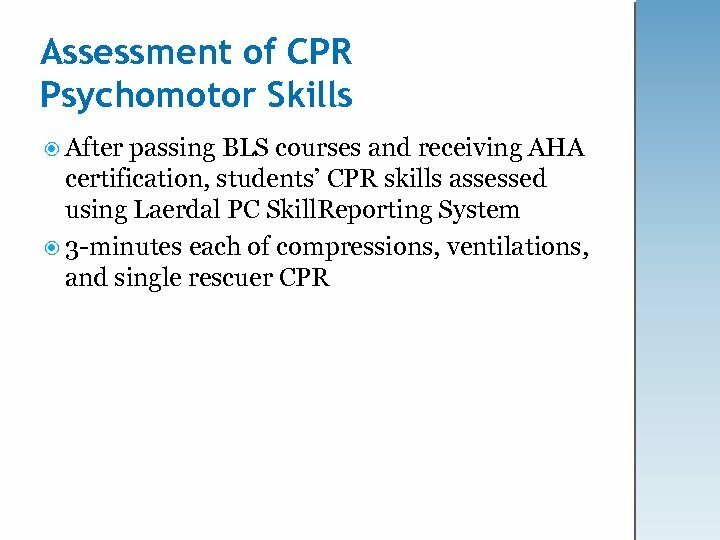 Funding was provided by the American Heart Association and Laerdal Medical Corporation. 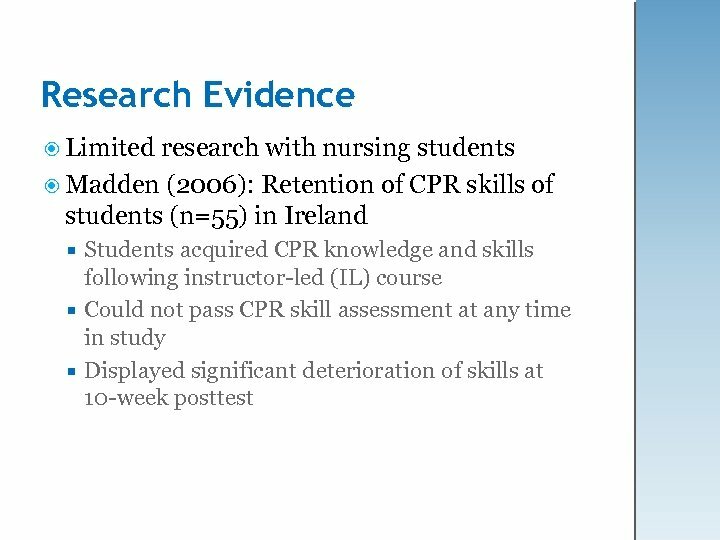 Need for Research No studies have examined Heart. 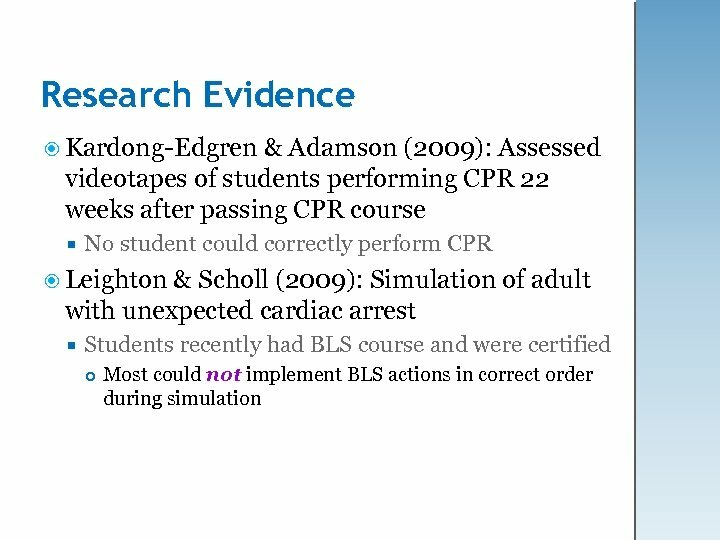 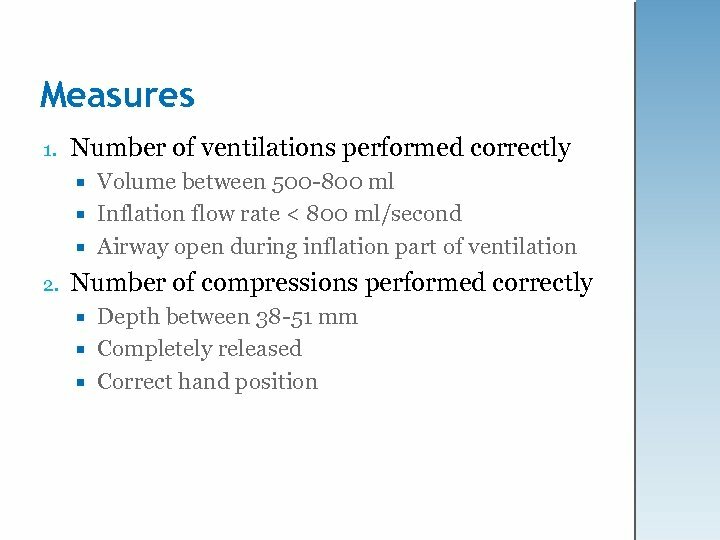 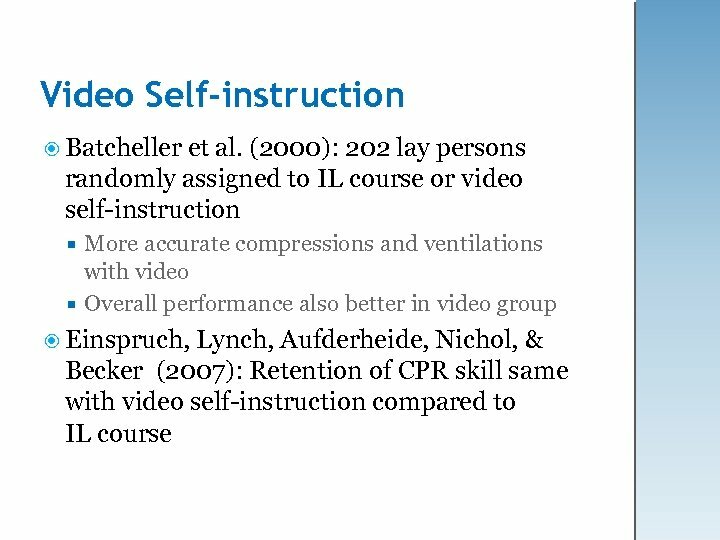 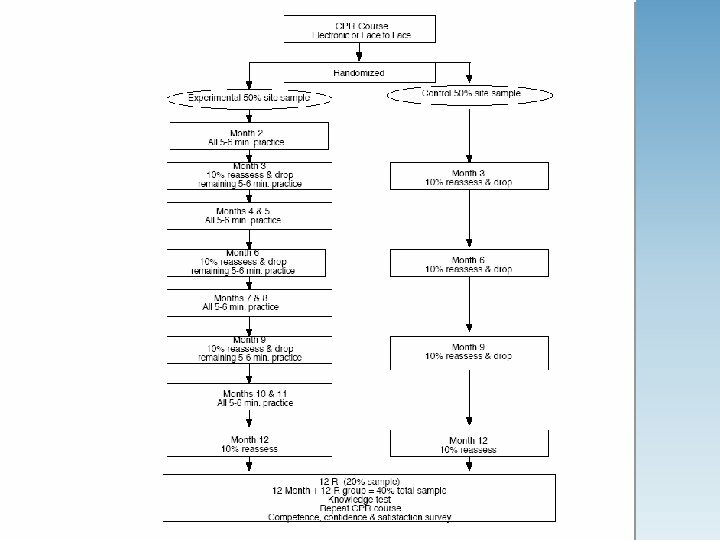 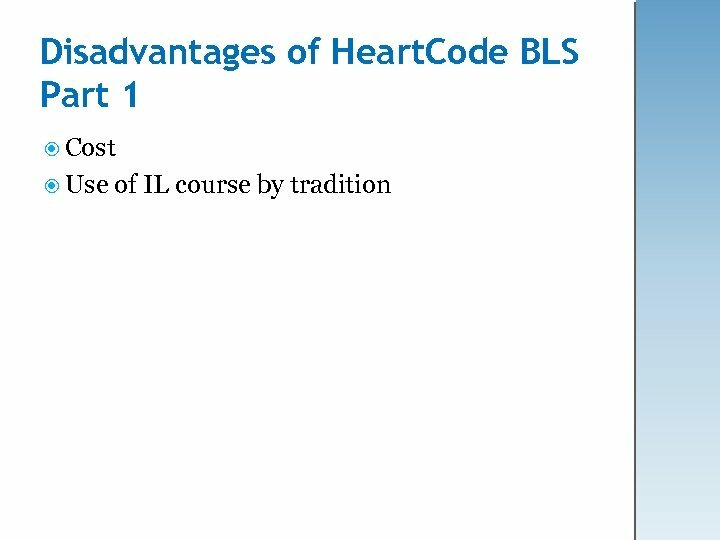 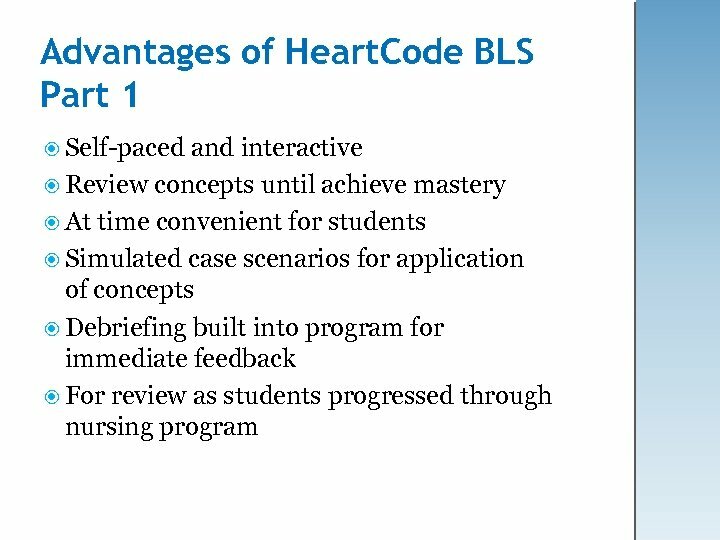 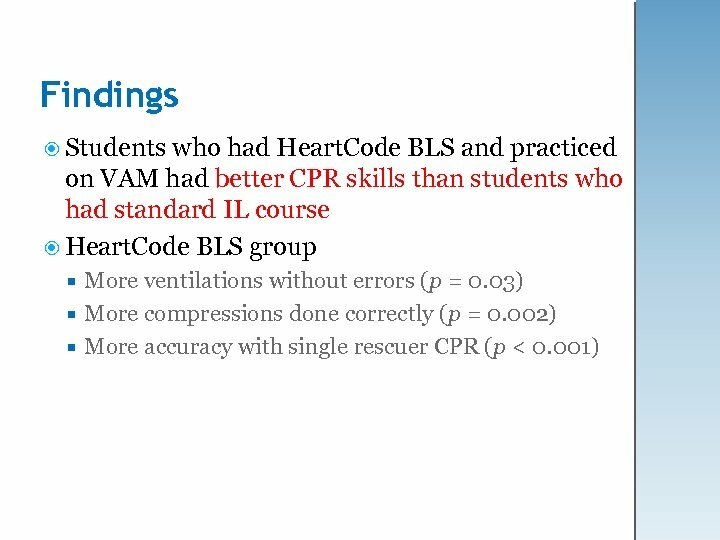 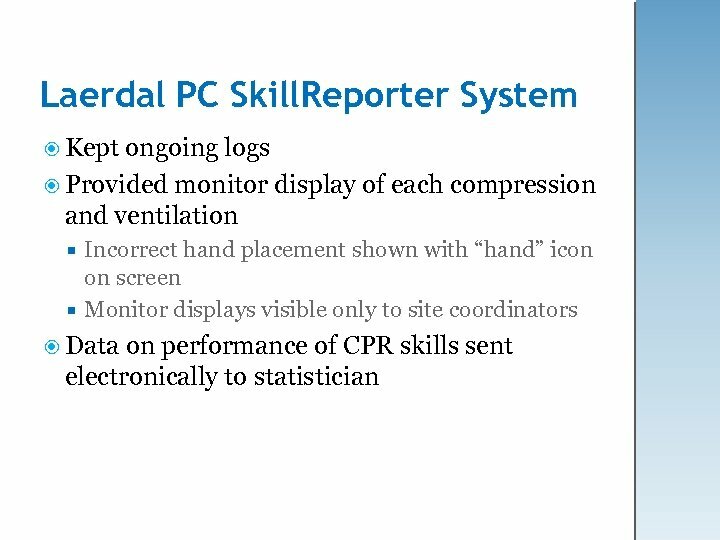 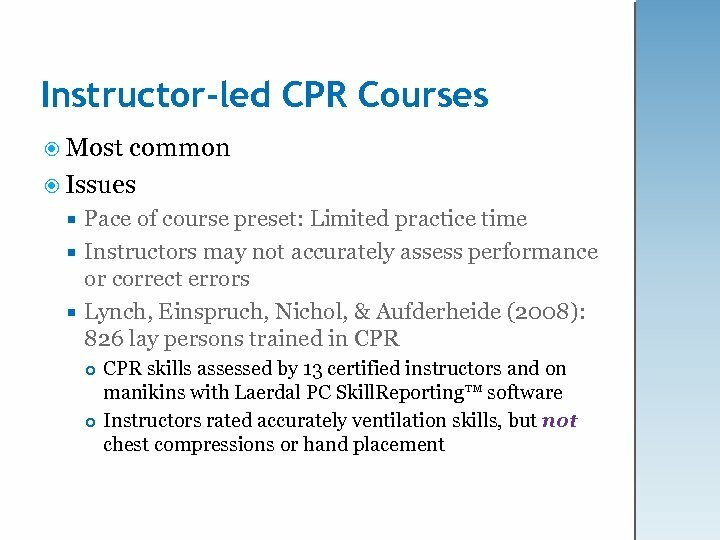 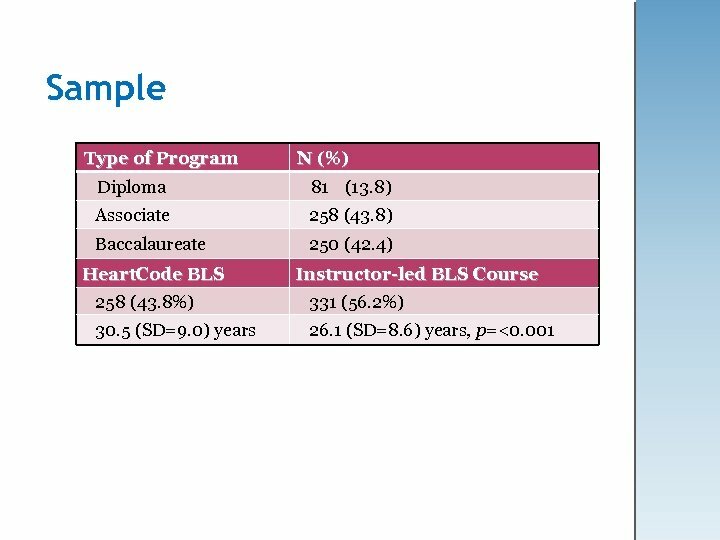 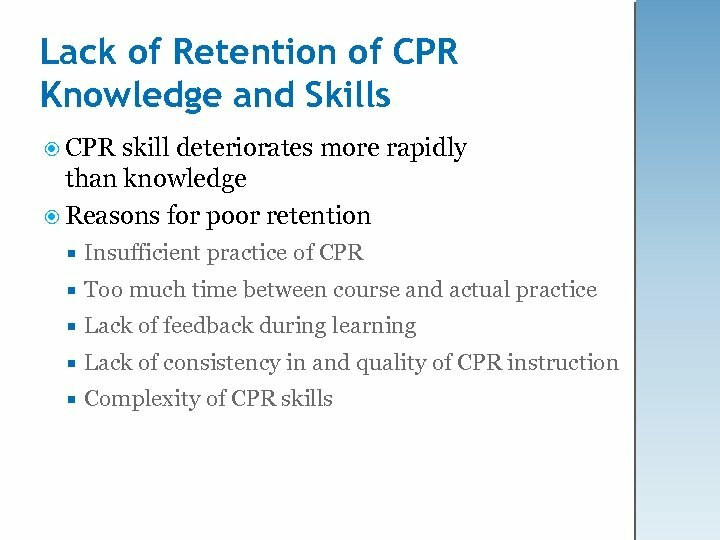 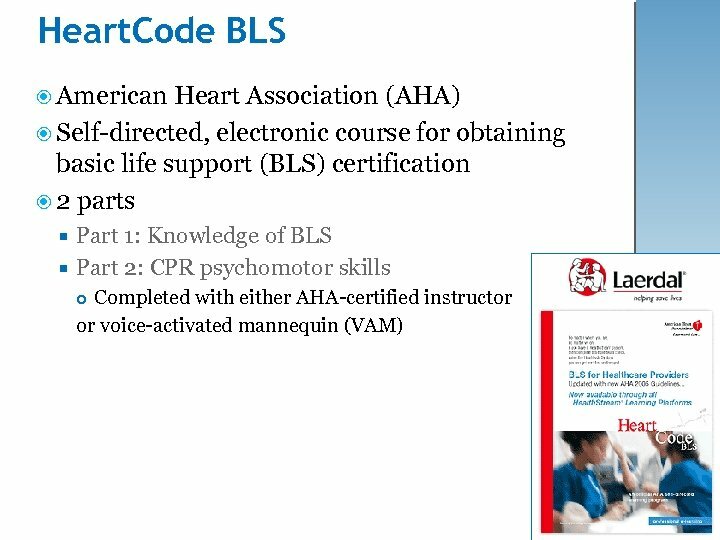 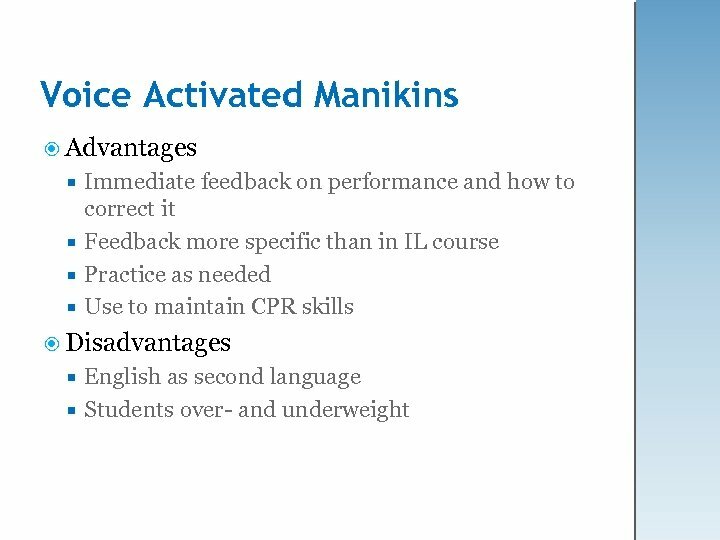 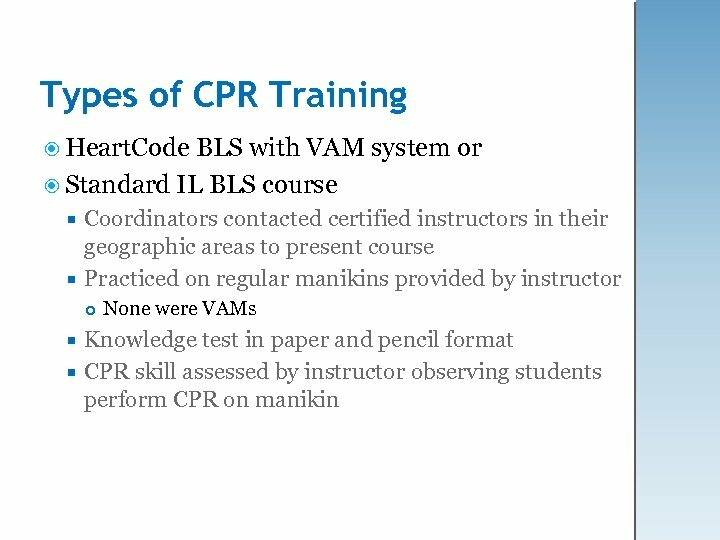 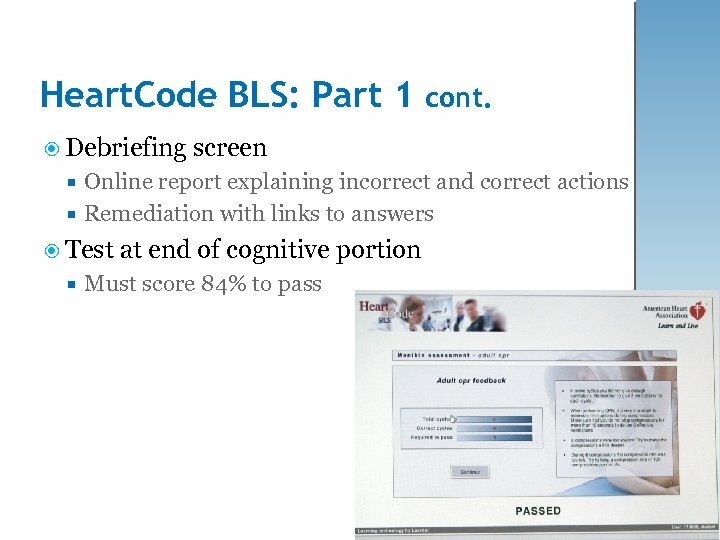 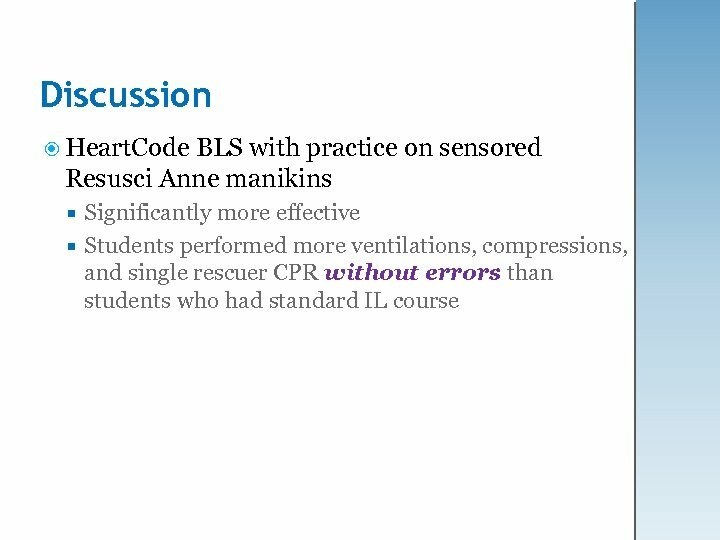 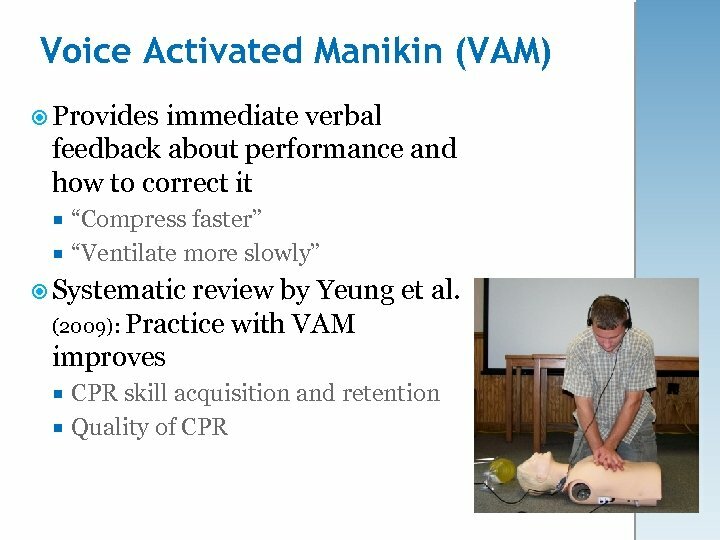 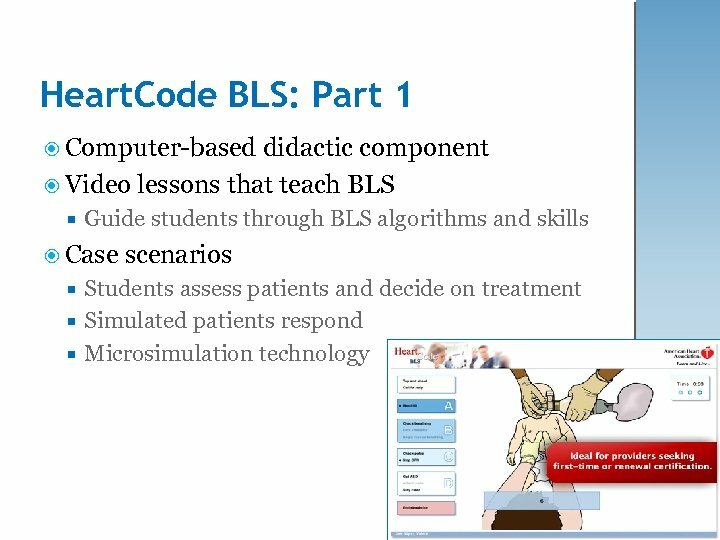 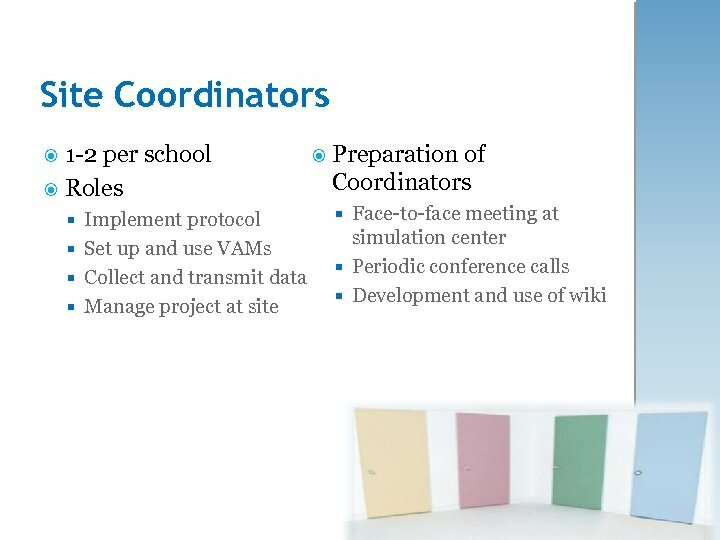 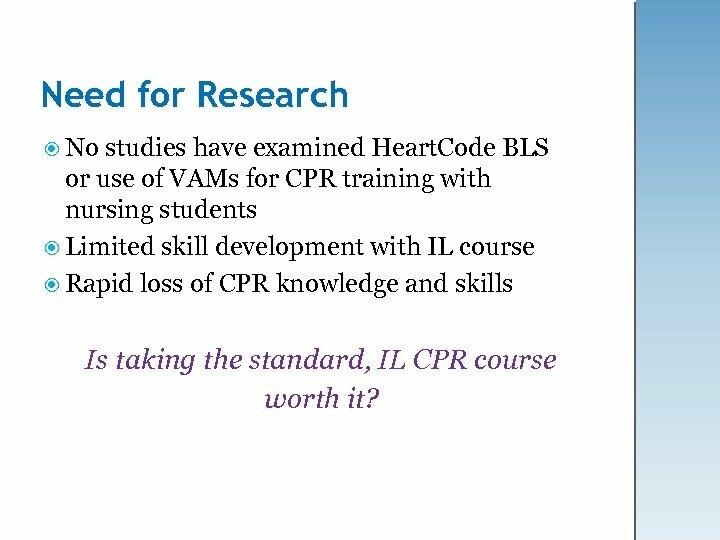 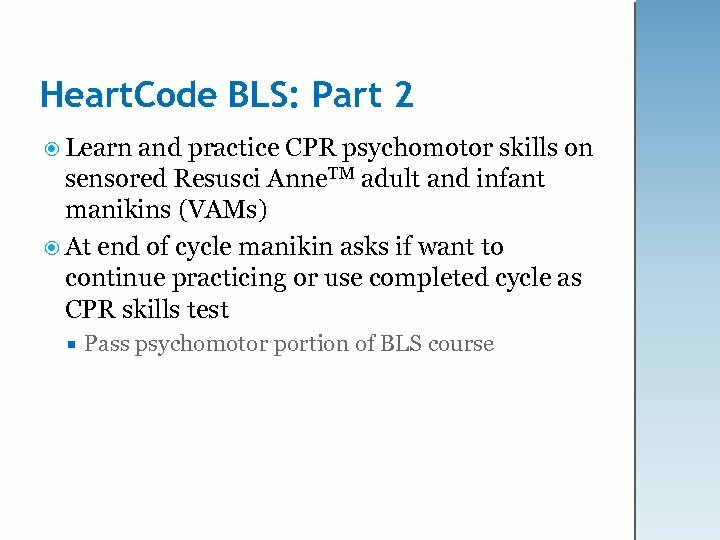 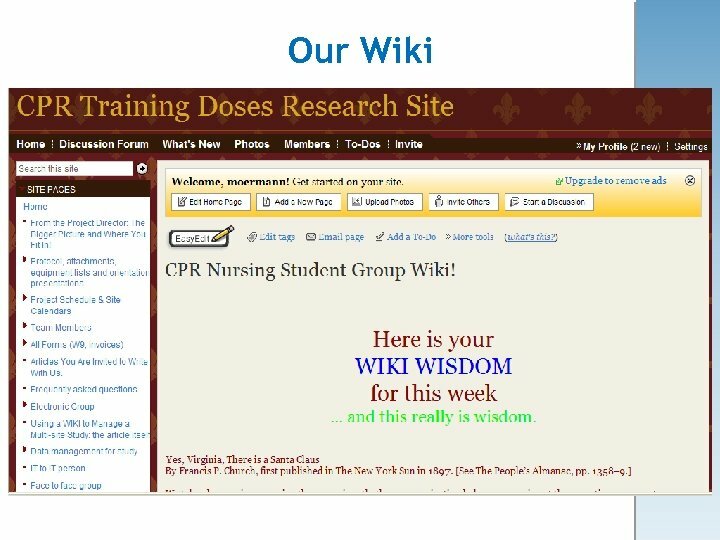 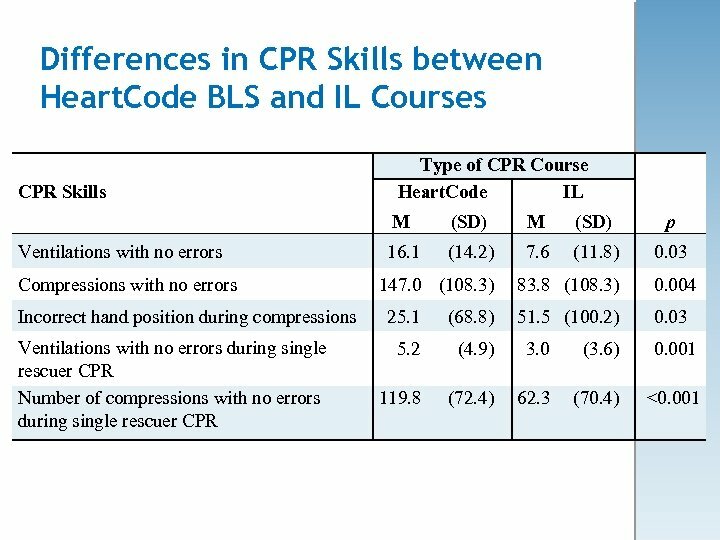 Code BLS or use of VAMs for CPR training with nursing students Limited skill development with IL course Rapid loss of CPR knowledge and skills Is taking the standard, IL CPR course worth it?